The students always call him dark, dirty, scary so science teacher, Fuwa Tsutomo, couldn't show his true identity as a good-looking man. Yet he had liked a student, Kurusu, who was failing science. So in order to help and be with Kurusu, even if it's just for a while, Fuwa changed into the "Phantom of Science" and be a private tutor for Kurusu. 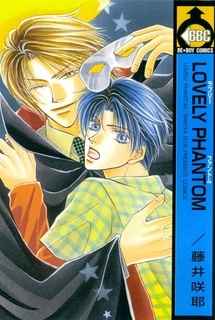 Unfortunately Kurusu's friend revealed his secret, but still Kurusu didn't care; he only hated Fuwa, not his "Phantom"